"The volume is thus no straightforward, archaeological report but a clever, meticulous review of how history, archaeology and landscape interpretation can link together and throw new light on the way we read the past." "To call it an excavation report is not to do it justice. 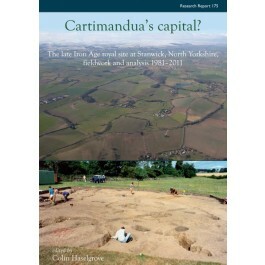 The review provides a foundation for fundamentally reinterpreting the late iron age in northern England." "Overall, this is an immensely useful volume, wide-ranging and full of ideas, which will provide a new basis for our understandings of the Iron Age in northern England and provoke discussion for many years to come." "This is a clear and well-illustrated book, packed with helpful diagrams and photographs...Any student of Roman Britain and any general reader, who has visited or intends to visit Stanwick, will find this work a welcome addition to their shelves."